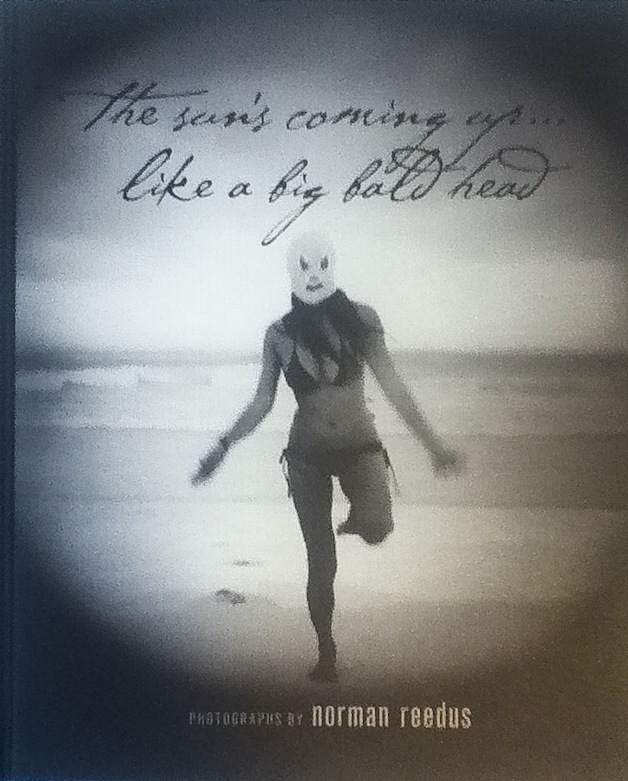 For my first ever book review I will introduce you to THE SUNS COMING UP…LIKE A BIG BALD HEAD by Norman Reedus. If the name doesn’t sound familiar to you, look up THE WALKING DEAD and DARYL DIXON, the no-nonsense hard-boiled-but-soft-on-the-inside newly lovable boondock that shoots down zombies with a crossbow. It was only recently that I was pleasantly surprised to find out he is, besides having acted in numerous underrated indies and modeled for names like Prada and Calvin Klein (who knew, appearance is deceiving! ), an accomplished fine artist. And this year he has released his first ever photo book showcasing his artistic photographs taken in the last ten years. After watching few more movies featuring Reedus (including the cult classic THE BOONDOCK SAINTS) I made the decision to shell out $60 out of my very meager savings to purchase the book, which arrived today. I won’t really drag it out here, after all , it’s a photo book, all pictures and no text, except for few intro notes from Reedus’ friends (one of them being his WALKING DEAD costar Andrew Lincoln). I will totally disregard their comments and observe with my own two eyes and brain. I will say one thing: the images are not for the faint hearted. This is not a fancy pansy eye candy book or your grandma’s Better Homes. I literally zipped through the book in less than ten minutes, then went back and took a little closer look at some of them. There were some good ones, and there were some questionable ones, and then there ones I don’t want to see right before bedtime. Being an artist myself I’ve come to appreciate the light and the dark sides of nature. If you’ve seen my work you’ll notice a lot of them are quite dark, but that’s another story i will tell later. I liked the soft vintage finish to each of the images. It enhances the atmospheric quality of the scenes depicted. Most are black and whites, and then some Technicolor style with red being curiously the bigger focus. I take it Reedus has taste for all things dead and haunt. Pretty much the subject matters involve dead animals, a decaying building, hookers, carnival freaks, and such. Nothing wrong with that, I say it’s rather refreshing that its not another pretty picturesque scenic photos people are more interested in. And i think it may also have to do with his past brush with death by way of a car accident while in Berlin several years ago. I’m sure ill find more faves but so far my favorites are one of his son, Mingus, who so adorable I want to pinch him. The composition and lighting really capture the childlike innocence that glows in the midst of dismal surroundings. I feel looking at the images that it reminds us of that one magical moment in our lives when we were young wild and free, and how much we miss it. I will definitely study the other images later and find more meaning in them, but for now this is my initial thought on Reedus’ artistic vision. It’s given me fresh new look at the actor and I would love to see more of his photos, if he plans to publish them. And of course ill keep my four eyes peeled for his moves in the future, but not in a sick stalker way, mind you. The book is highly subjective; it will likely polarize those that dare to open the brain of Tv’s newly famous zombie slayer.